This little gem of a plant is Convolvulus sabatius, otherwise known as Blue Rock Bindweed. Unlike its invasive, white-flowered cousin it does not spread like wildfire and make itself generally unwelcome. Instead, it cascades delicately over the slate walls of our raised borders and blesses us with small, soft blue flowers all through the summer. It appreciates a bit of warmth, and the flowers close up in the shade and at night. Many people choose to use it as a hanging basket plant as it can be killed by frost. In our sheltered seaside garden it has come through several winters unscathed and bulks up nicely through May, ready to put on a good display from June onwards. 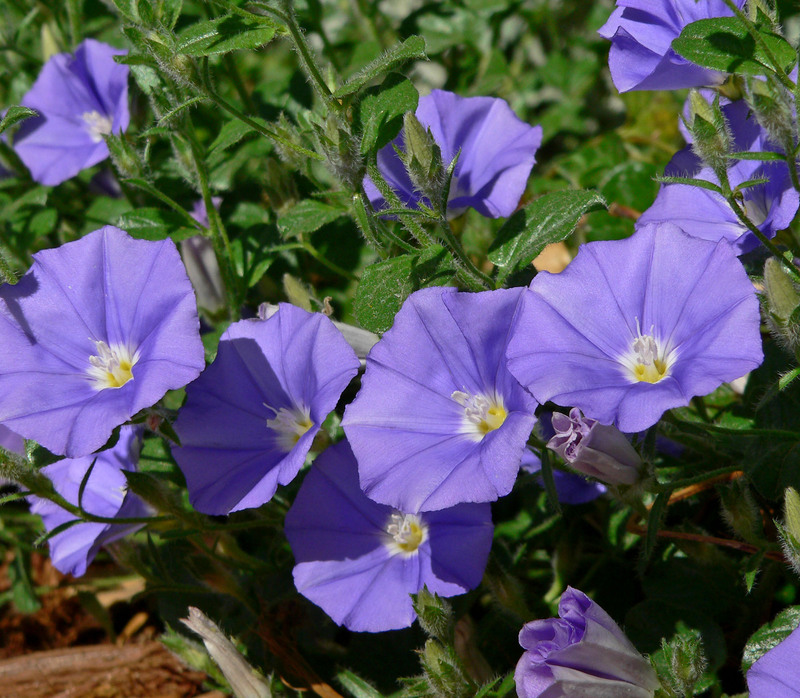 By the end of the summer it will have reached the ground and we’ll be enjoying a curtain of trumpet-shaped flowers. Now is the time to take some softwood cuttings, so I’ll have some spares to plant out later in the year.